This quilt is the backing/second side of my Supernova quilt. I had a bundle of V and Co’s fabrics and I added a few more from my stash that I wanted to use up. 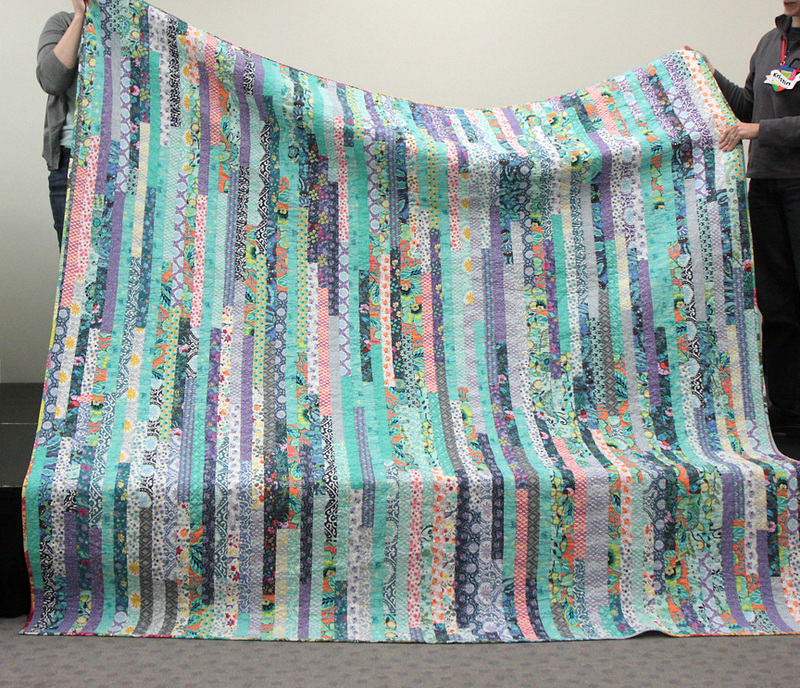 I cut them all into 2.5″ strips and jellyroll raced them together. It didn’t take as long as I thought! I have used this backing technique many times now and it is a great one to use up fabrics and create an interesting backing.